Tucked away on one of Reston’s prettiest streets is a beautiful Colonial home that offers the best of privacy and peace, truly a home you’ll love to own. 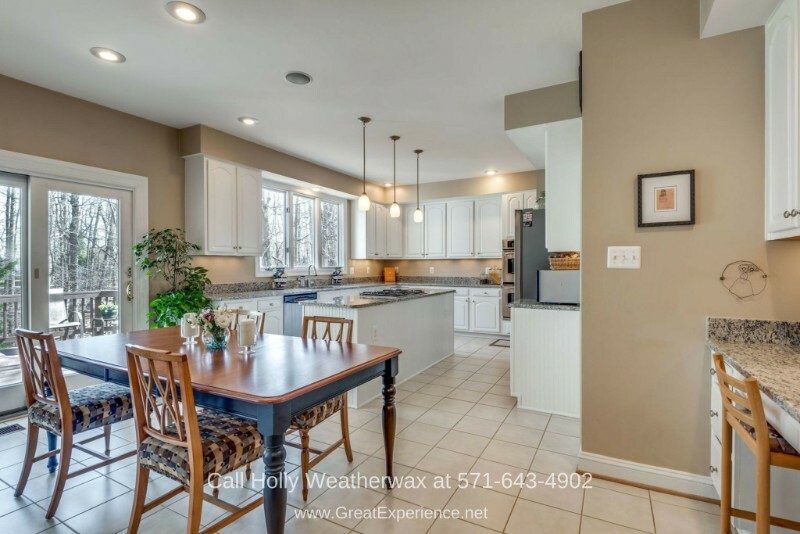 Located just down the street from Buzz Aldrin Elementary and close to the Fairfax Connector Bus stop, North Point Village Center, and surrounded by community trails, this home’s location is exceptional. This pristine home offers an incredibly generous living space of 4,800 square feet, 6 bedrooms, 3 full bathrooms, and one-half bathroom. The backyard backs to the woods, ensuring stunning views and lush foliage. 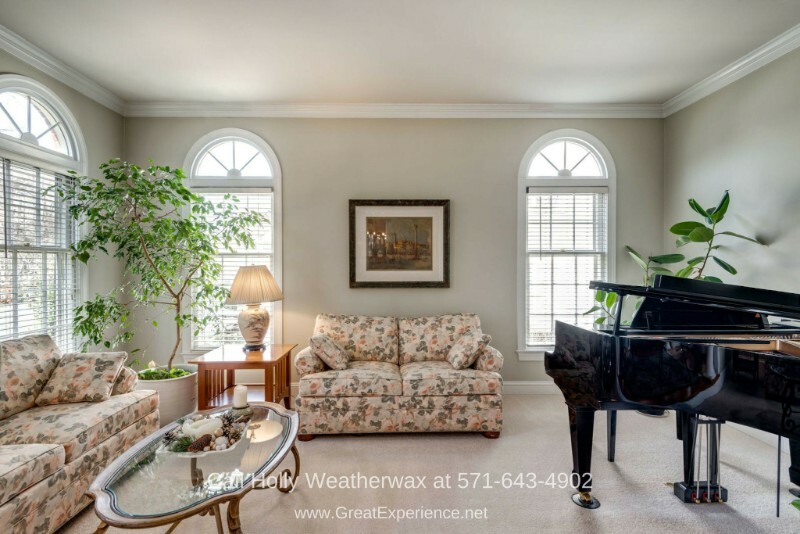 You’ll love the architectural details of this spacious home from its arched windows, two-story foyer, to its vaulted ceilings and interior columns. Move-in ready, this home has been updated to ensure the best of your comforts. You’ll find the upper level has brand new carpet and that the master bathroom has been updated. 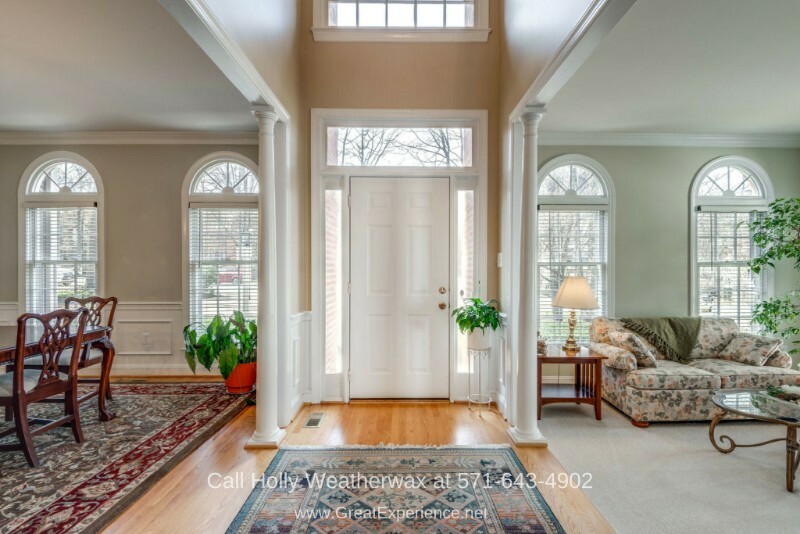 Meticulously maintained, this home in Reston VA is a true dream home and more. 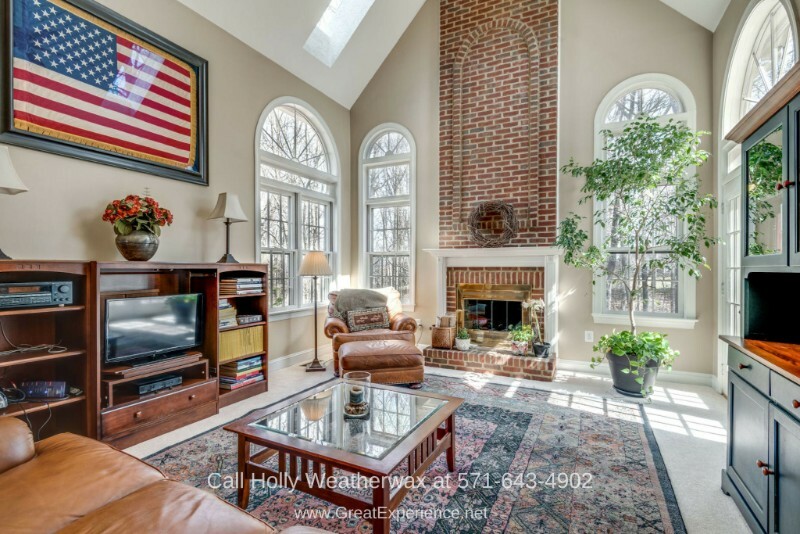 Prepare to be impressed by the stunning interior of this Reston home for sale. The floor plan is traditional, with a twist. Open the front door and be greeted by a 2-story traditional center hall foyer that opens to a spacious open floor layout. White columns stood on each side of the foyer, a nice touch that hint of elegance and style. The polished wood floor extends throughout most of the main level, its rich earth tone adding the right touch of warmth to the contemporarily styled living spaces. To the left side of the foyer is the formal living room, a beautiful space with neutral-toned walls, ceiling molding, and carpet floors. Arched windows allow light to stream in, giving this living room a warm and inviting appeal. 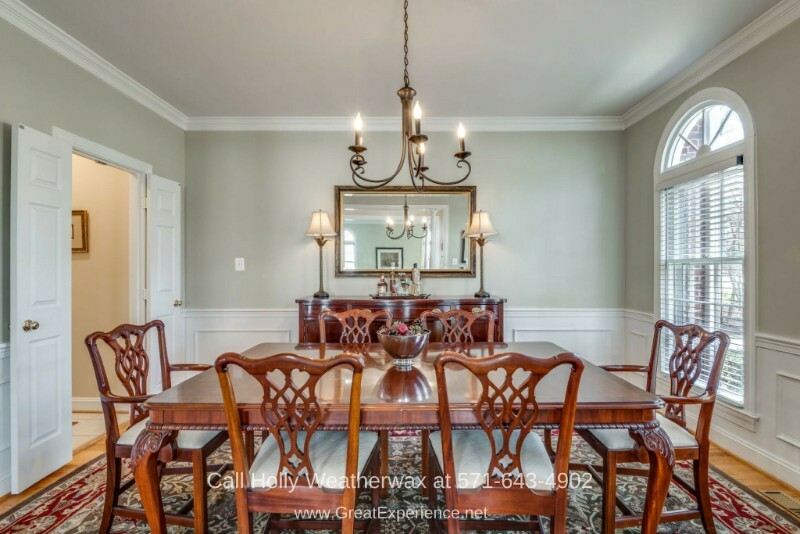 The sophisticated formal dining room has chair railing wainscoting and can easily accommodate an eight-seater dining table. With its proximity to the formal living room, this dining area is perfect to use when you have guests over. Past the living and dining rooms, the hallway opens up to a large 2-story family room with skylights and a brick fireplace that reaches to the ceiling. This family room gets the most natural light with three of its walls graced with large arched windows. On cold days, the fireplace adds warmth to this bright and sunny space. The kitchen enjoys a generous floor space and is perfect if you love cooking. It boasts of white cabinetry, granite countertop, pendant light, and new stainless steel appliances. 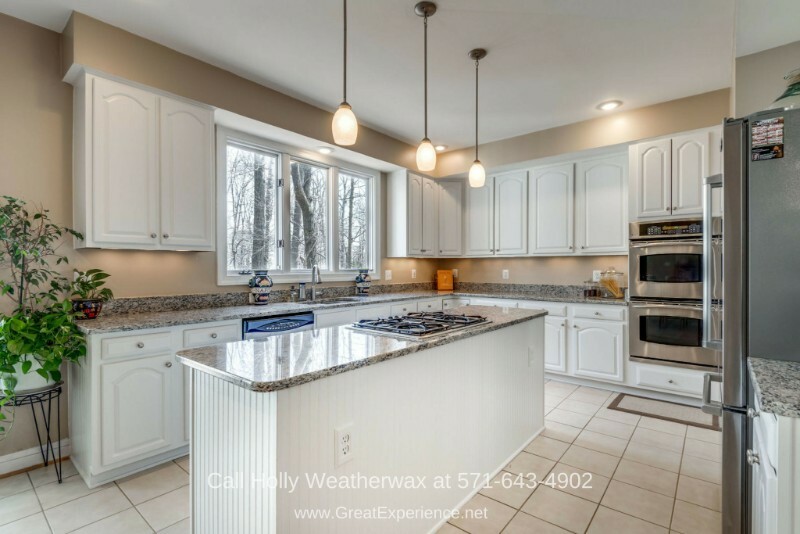 There’s also a desk area to keep the kitchen organized, an enormous food pantry, and a butler’s pantry between the kitchen and the dining room. A breakfast nook is set by the glass slider that opens to an expansive deck that overlooks the backyard. 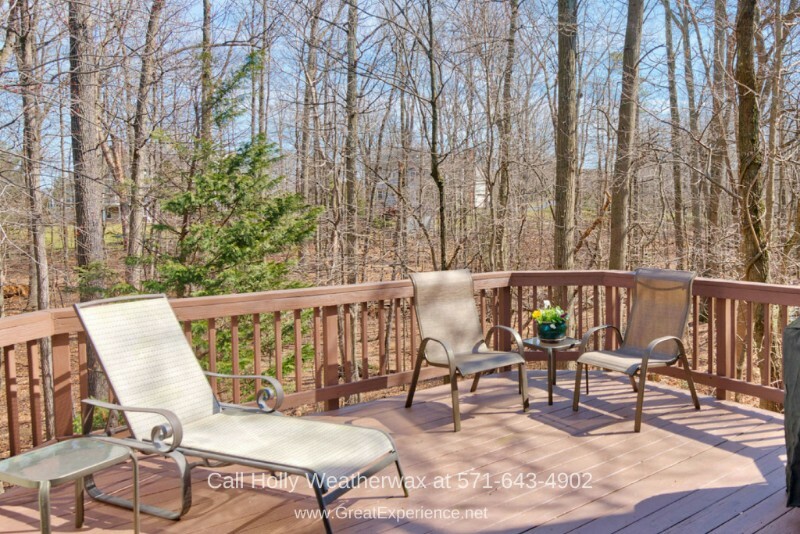 This deck overlooks the woods, perfect for bird watching and simply enjoying the wooded view. The main level also features an office/library and a laundry room. Upstairs, you’ll find three generously sized bedrooms and the expansive master suite. Vaulted ceilings, large windows, carpet floors, and a bonus sitting area with a very large closet— all these are yours in this magnificent master bedroom. The master bathroom has been updated with granite and a frameless shower door. If you think you’ve seen it all, think again! This home has more surprises in store for you. The lower level features a cozy family room with a gas fireplace and access to the outside patio and backyard. This family room is the perfect place for rest and relaxation. Feel your stress drain away as you enjoy the warmth from the fireplace while gazing out of the large windows. On this lower level are two more bedrooms. One has a full bathroom and walk-in closet, ideal for guests, live-in parents or an au pair. Or you can even turn them into another home office. A large storage and utility room complete the features of the lower level. On top of this home’s amazing features, it is conveniently located near the town’s amenities. Aside from being close to Buzz Aldrin Elementary and the village center, it is only minutes away from Anne Plaza and Reston Town Center. The Reston-Wiehle Metro stop is only three miles away. It also offers easy access to Route 7, Dulles Toll Road, and Route 28. Dulles Airport is less than 10 miles away, near but not so near that you can hear the airplanes every night. This community is great for nature lovers. There are plenty of running and biking trails you can enjoy. 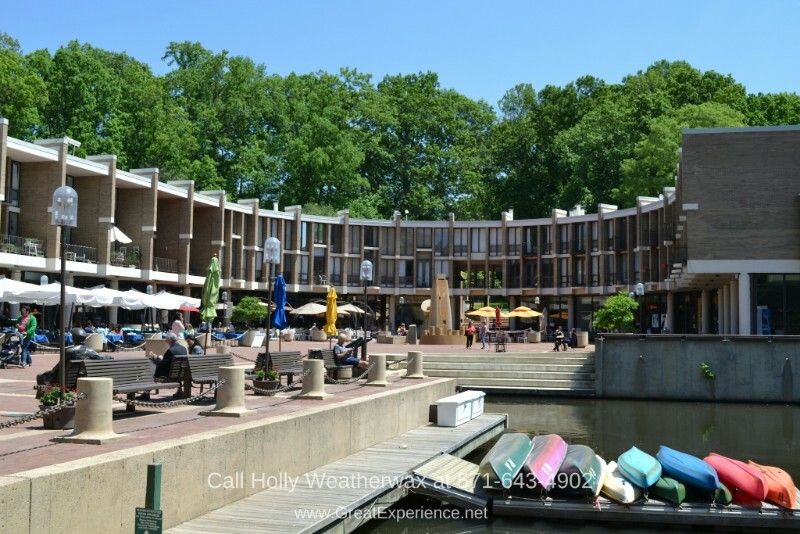 Reston is only an hour away from DC, which is great if you work in the city. But the best advantage of Reston is that it has some of the best schools in the country. This magnificent real estate property in Reston delivers luxury, privacy, and retreat, and it can be yours for $999,000. Don’t miss this opportunity to own the home of your dreams! 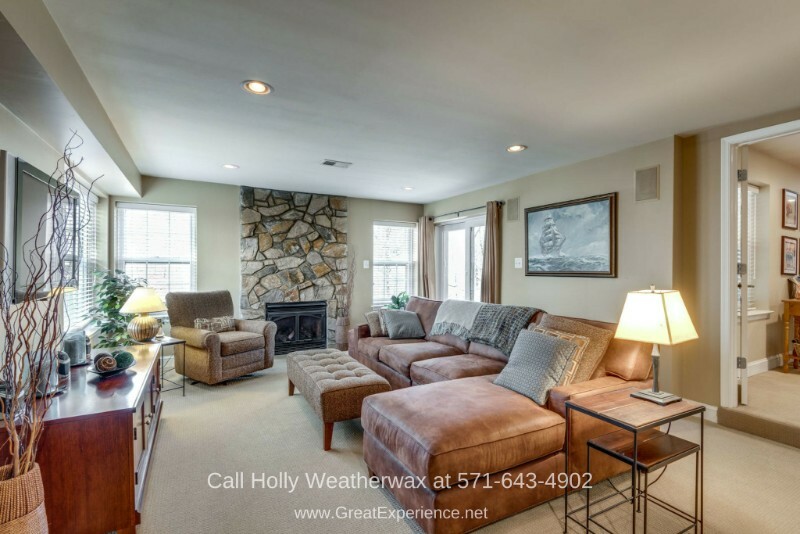 Call me, Holly Weatherwax, at 571-643-4902 to schedule your private showing today.